A bud tender holds two marijuana buds on his fingers on the way to a customer at the Denver Kush Club in north Denver. That’s the question on the lips of insiders this week following a truly bizarre hearing before the city’s Zoning Board of Appeal, or ZBA. 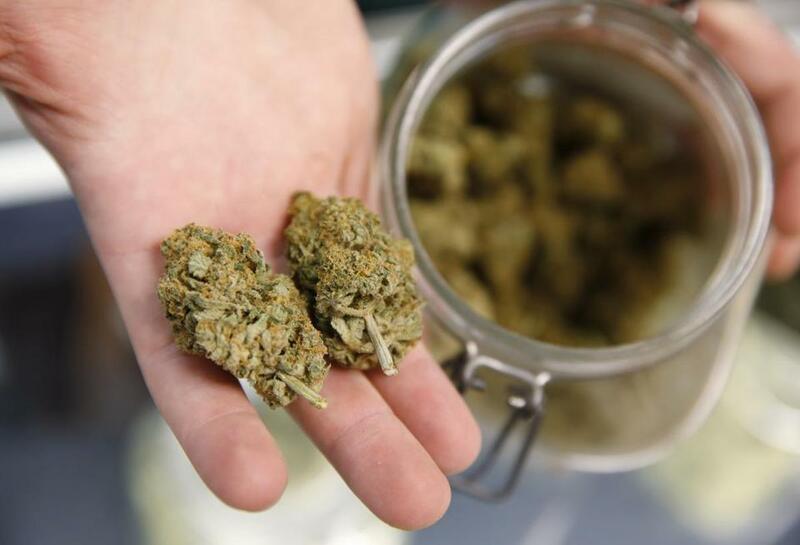 On Tuesday, two proposed East Boston marijuana stores that had each received a coveted host community agreement from the administration of Mayor Martin J. Walsh appeared at a meeting of the board to seek what were supposed to be routine variances. See, under Boston’s zoning scheme, marijuana establishments aren’t allowed anywhere by default. The city requires each such businesses to apply for a special permit, negotiate a host community agreement spelling out its hours of operation and payments to the city and the like, and then ask the ZBA for an exception to the blanket ban on cannabis companies. Until this week, my assumption — and the assumption of just about everyone involved in the process — was that the last step was a mere formality. It was thought that the Walsh administration would do the work of choosing between multiple operators trying to open in the same area under a city rule mandating a half-mile buffer between pot facilities, sending the “winner” along to the ZBA for a quick rubber stamp to finalize the process. And by “it was thought,” I mean, the city literally said that was the case. City Hall backed two different marijuana shop applicants in the same East Boston neighborhood that are closer together than allowed under new zoning rules. And indeed, Walsh officials so far have turned away at least three companies seeking host community agreements. But this week, the city sent along the two ZBA operators — Berkshire Roots and East Boston Bloom — whose proposed locations are only four-tenths of a mile apart. That’s right: the order in which the two companies appeared on the agenda was the determining factor in which company got the go-ahead. Edwards, who was supporting the application of East Boston Bloom... called on the board not to handicap East Boston Bloom because it came after its competitor on the board’s posted agenda. She was also critical of the Walsh administration of not making a choice between the two businesses in the first place, and leaving it to the ZBA to figure out which applicant gets to go first. In her view, the city should have naturally favored East Boston Bloom, a locally owned business that includes Latinos and a veteran among its leadership. Berkshire Roots is based in Pittsfield, and its cofounders include Andrea F. Nuciforo, who was a state senator for Western Massachusetts for a decade. That was news to me and others following the city’s licensing process. 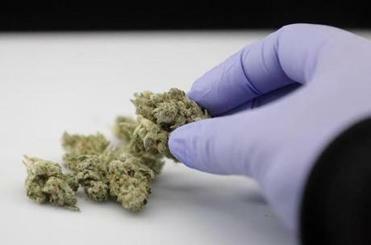 It completely changes the political dynamics for marijuana companies seeking local approval in the city. Apparently, they must now look past Walsh’s “Office of Emerging Industries,” which negotiates host community agreements with applicants, to the ZBA. Another weird complication: Back in February, after a little amateur surveying (aka putting the two addresses into Google Maps and clicking “directions”), I asked the city whether the two proposed East Boston shops were really separated by a half-mile, or 2,640 feet. Walsh officials at the time insisted that the locations were precisely 3,168 feet apart. Now, the city is admitting the real distance is less than 2,640. That’s a pretty big rounding error. Meanwhile, two of the ZBA’s members are themselves members of marijuana companies seeking permission to open in Boston: Bruce Bickerstaff is an investor in Silver Therapeutics, which has proposed a marijuana shop in Roslindale, while former State Representative Marie St. Fleur is the chief operating officer of Union Twist, which is working to open in Allston. Three cannabis industry insiders, who asked not to be named because they feared retribution against their licensing efforts, told me the ZBA mess is only the latest evidence that the Walsh administration is winging it. Regular readers will recall that administration officials only made public their selection criteria for marijuana facilities by providing it as background information to the Globe for a story last fall. Then, following criticism that the city’s process wasn’t equitable, officials suddenly approved a spate of proposed shops with more diverse owners — but left other applicants hanging without any explanation. The insider added that the situation will have repercussions for everyone seeking a license in Boston.